SUB But Does It Float? Practical solutions to engineering and manufacturing problems can also be beautiful. 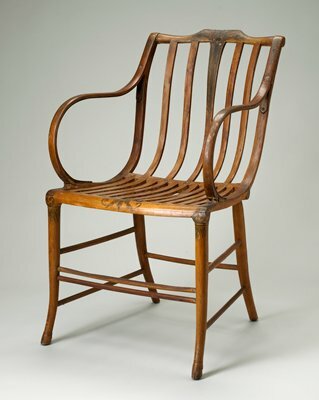 In 1808, the steamed and bent arms of this “Elastic Chair” were both cheap to make and elegant in form. Recently, the American Society of Civil Engineers held its National Concrete Canoe Competition. Yes, concrete. Teams of grad students designed canoes made of one of the least buoyant materials imaginable. They are scored on, among other things, their unique concrete mixes and overall aesthetics. Cal Poly San Luis Obispo, known for its artistic canoes, this year created a boat with bas-relief depictions of Yosemite and a cast pinecone and bough.